Singapore based Stones That Rock is a designer range of fun, fashion jewellery that uses a mix of freshwater pearls, semi precious stones and crystals. The range offers a mix of both contemporary and classic pieces designed to enhance an outfit and raise the spirit. The philosophy behind Stones That Rock is one of fun, flexibility and value. 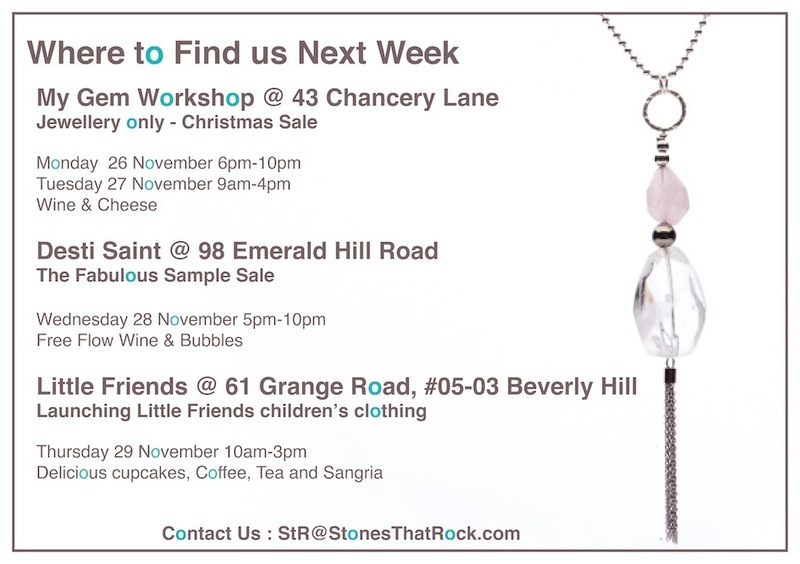 Stones that Rock hosts regular Open Homes collaborating with a wide variety of Singapore brands.